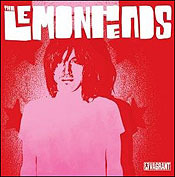 CHAPEL HILL, NC (CelebrityAccess MediaWire) — In support of their new eponymously-named album, alt rock outfit The Lemonheads will be hitting the dusty trail in 2007. Spin is reporting that the tour starts on January 25th in North Carolina at the Cats' Cradle. The band signed to Vagrant Records last summer and has just come off of a successful fall tour. Their most recent album has been accumulating some favorable nods from reviewers.